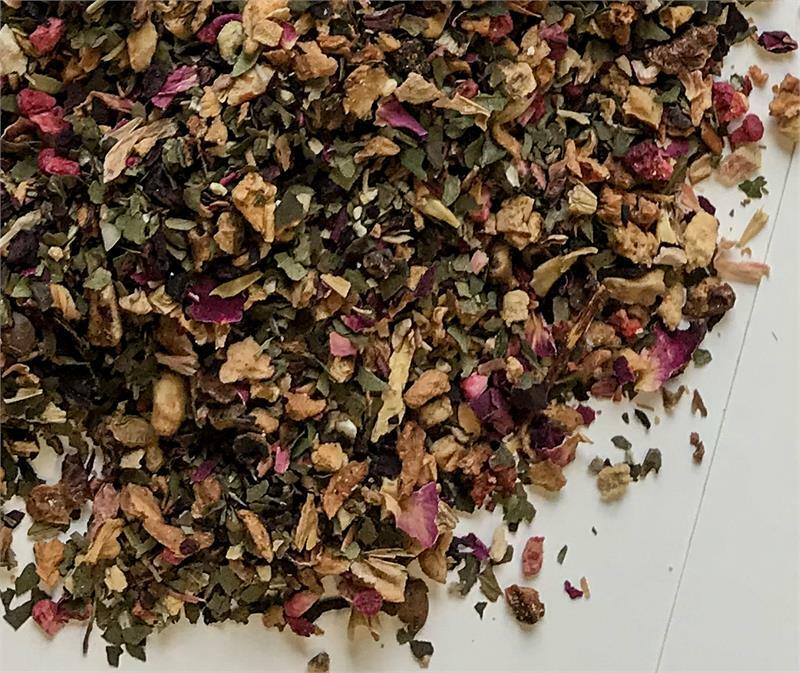 Our new Strawberry Rhubarb Fruit Infusion is filled with that fresh-out-of-the-oven aroma of rhubarb pie - without the calories! Sweet strawberries are paired with rhubarb, hibiscus, and apple for a colorful caffeine-free blend which no one can resist! Strawberry Rhubarb isn't just for pie anymore! 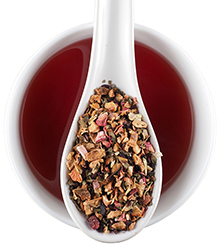 Our Strawberry Rhubarb Caffeine-free Infusion is loaded with fruit flavor and steeps to a beautiful ruby red color. 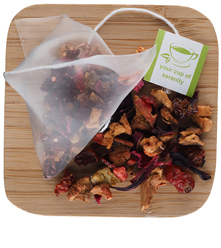 Rehydrate your body with this naturally caffeine-free blend that is just as wonderful iced. Not gluten-free.